At Pack Expo 2015, PolyOne Corporation unveiled a low-migration aluminum cap liner technology based on its new GLS Versaflex PKG 4190 thermoplastic elastomer (TPE). As an extension of GLS compression-molded cap liner technology, this non-PVC Versaflex PKG is formulated for aluminum caps used for sealing glass, polyethylene terephthalate (PET), or aluminum containers. The materials deliver good seal integrity even when processed under ambient or high temperature pasteurized and hot-fill conditions. In addition to minimizing volatiles that can affect the taste of sensitive aqueous, acidic and low-alcohol beverages, its lower processing temperature also helps save energy and expand manufacturing flexibility, introduced PolyOne. The new Versaflex PKG material comes as a granular material that is compliant with EU 10/2011 and FDA 177.1210 food contact regulations. It is available globally in white or translucent grades. 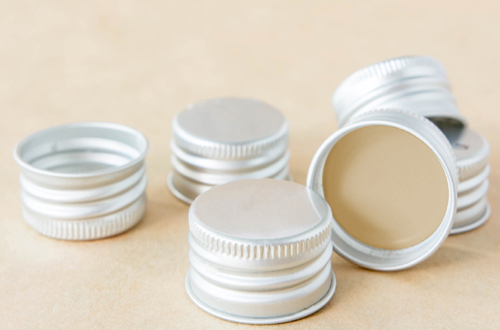 The translucent grade allows for promotional laser coding on the cap liner. Pack Expo 2015 was held from September 28-30 in Las Vegas, the US.